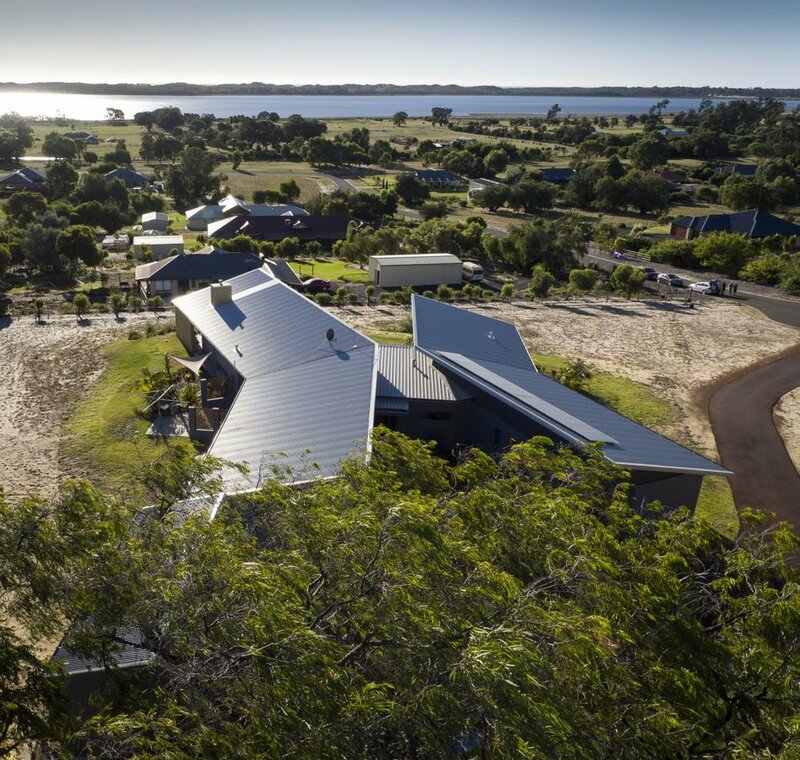 The "Butterfly House" , named for its four 'wings', has been designed to maximise views over the Inlet to the west. The house has been designed to solar passive principles and is highly water and energy efficient, achieving an 8 Star Energy Rating. Sustainable features include a biomass greywater system, 6000 litre rainwater tanks, a 3 KW photovoltaic array and energy efficient appliances and lights. 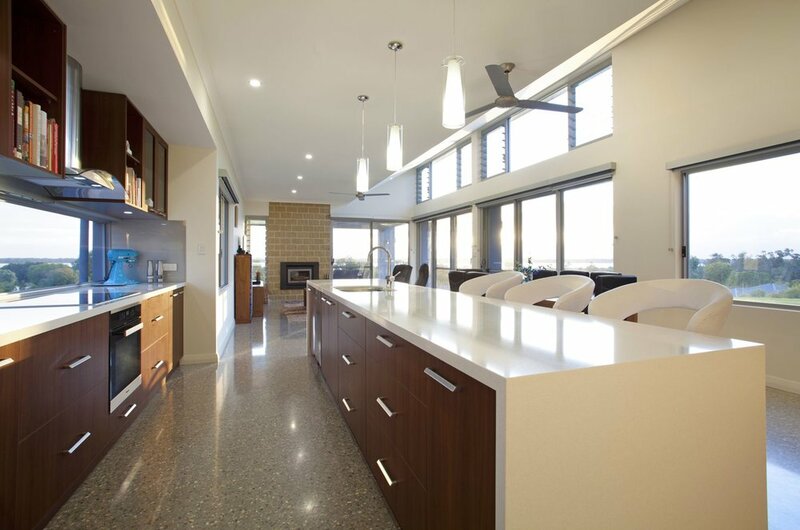 Internally the home is designed to Healthy home principles with low allergen polished concrete floors to living areas and renewable cork to the bedrooms. The home is undoubtedly contemporary but through the use of its materials it still sits comfortably in its semi-rural setting.